The Montessori teaching method aims at developing each child’s potential and encouraging his or her personal development and fulfilment. This educational approach is very individual in order to respect the rhythm, personality and needs of each child. The classroom is carefully prepared and designed to offer the children multiple varied learning opportunities. Learning becomes exciting for the children because they are free to choose their own activities. Maria Montessori observed that learning certain skills is easier and more pleasurable for children when taught during their "sensitive periods"- lapses of time which the child passes though as they grow. During these periods, the child feels a strong draw to a certain activity (counting, reading, writing, geography, etc.) and if he is allowed to fully explore the subject during that time, the results will be long-lasting and powerful. As the child works by himself and for himself, he acquires more independence, while cultivating his curiosity and his natural desire to learn. He develops self-confidence and willpower. The teachers use the Montessori material in the class, which is scientifically designed to be progressive and auto-correcting. The material is sensorial and allows the children to learn through hands-on experience. 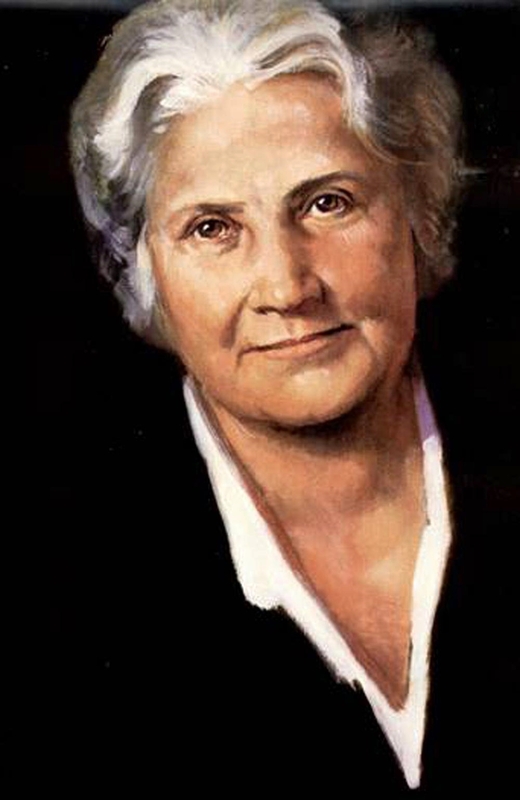 Maria Montessori observed that children’s intelligence is best developed through what they touch. Classroom rules are essential and considered as Montessori work in their own right. Rules give the children structure, develop their sense of responsibility, help them organise their work and live harmoniously with others. The result is a calm, ordered, joyful atmosphere. One hundred years ago a young Italian woman devised a new approach to education based on a foundation of encouragement and respect. Maria Montessori was born in 1870 in Italy, a country that at the time was especially conservative in its attitude towards women. Despite many obstacles, Montessori was the first Italian woman to become a doctor. She went on to teach at the medical school of the University of Rome, and, through its free clinics, came into frequent contact with the children of the poor. Through her work she became convinced that each and every child is born with an amazing human potential, which can develop only if adults provide children with the right stimulation during the first few years of life. Anxious to prove her point, in 1907 Montessori started to oversee a nursery for working-class children who were too young to go to school. Located in one of Rome’s worst slums, this became her first Casa dei Bambini or "Children’s House". Growing up with little attention and in appalling conditions, many of the children who entered were aggressive, impatient, and disorderly. Montessori began her work by teaching the older children how to help out with everyday tasks. To her amazement, three and four-year olds took great delight in learning practical living skills. Soon these children were taking care of the school, assisting with the preparation and serving of meals and helping to maintain a spotless environment. Their behaviour changed from that of street urchins running wild to models of grace and courtesy. Montessori recognized that little children experience a sense of frustration in an adult-sized world, so she had miniature jugs and bowls prepared and found knives that fit into a child’s tiny hand. She had carpenters build child-size tables and chairs that were light enough for children to move without adult help. The children loved to sit on the floor, so she gave them little rugs to define their work areas and they quickly learned to walk carefully around the rugs rather than disrupt each other’s work. After spending countless hours observing and interacting with children, Montessori concluded that they pass through a number of developmental stages, each one being characterized by specific inclinations, interests, and ways of thinking. She found that children have their own logic at each stage of development, along with certain preferred activities and natural tendencies in behaviour. She observed how children respond to a calm and orderly environment in which everything has its allocated place. She watched the children learn to control their movements and noted their dislike of the way the calm was disturbed when they stumbled or dropped something. She gave them the opportunity to develop their sense of independence and recognized their increasing levels of self-respect and confidence as they were taught to do things for themselves. The first children’s house received instant acclaim and interest surged around the world. As an internationally respected scientist, Montessori had a rare credibility and she captured the interest of national leaders and scientists, labour leaders and factory owners, teachers and mothers. She gave up her medical practice to devote her energy to overseeing the spread of Montessori schools around the world. A tireless advocate for the rights and intellectual potential of all children, she continued to develop programmes such as "Education and Peace" until her death in 1952. Montessori’s work lives on today. 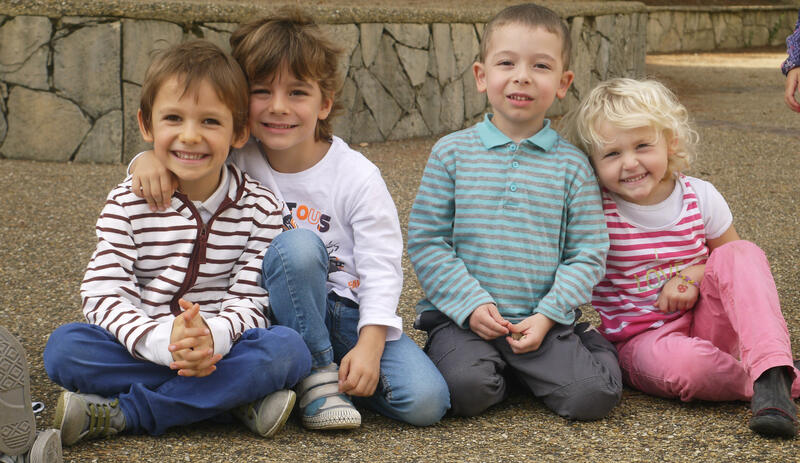 There are now over 22 000 Montessori schools on 6 continents. Many well-known figures have attended a Montessori establishment, like the founders of Google for example. Her systematic approach can be replicated and sustained in almost any situation. Some people are attracted to the calm, responsible behaviour shown by these students, and appreciate their love for learning. Others applaud the freedom, spontaneity, and independence that Montessori gives young children. Excerpt of Tim Seldon’s "How to Raise an Amazing Child the Montessori Way."